Why is Britney’s Mom Hanging with FedEx? Britney Spears’ mother, Lynne Spears, was spotted entering Kevin Federline’s Malibu home around 1:30 pm on Thursday, and was there until at least 10 pm. What’s up with that? They’re probably talking about what the hell to do about Britney, and I suppose it’s possible that there’s an agreement in place allowing Lynne to spend time with the kids while Brit’s in rehab. Actually, that’s probably the only reason Britney agreed to go back to rehab. It was my understanding originally that Britney left Promises, and then Kevin filed for custody of the kids. But it’s starting to sound like Kevin filed for custody of the kids while Britney was at Promises (the first time), and when she heard about it, she checked out to try to fight for her kids. Hey, what’s up with Lynne Spears wearing a ring? Britney’s parents divorced a few years ago, and I can’t find any record of Lynne remarrying. Did I miss this? Anyway, Britney, congratulations on your first 24 hours in rehab! Hang in there, baby!!! Britney Attacks the Paparazzi with an UMBRELLA! Check out photos and footage taken just hours before she re-admitted herself to Promises. Craziness, but I don’t really blame her. Those photogs are merciless. In an effort to keep custody of her sons Britney has checked herself back into rehab. On hearing that his wife was back in a facility, Kevin Federline cancelled the emergency custody court hearing that was scheduled for today. She is returning to Promises, the rehab facility that she most recently left. This is the last chance for Britney to get her life in order. The kids have been in the custody of Federline since last week. TMZ is reporting that Britney went to see her kids last night at Kevin’s place and was not allowed in. This [is] Spears’ last chance — if she leaves rehab before getting full treatment, Federline will immediately go to court seeking orders allowing him unquestioned full custody of the children. I really hope Britney stays in rehab for a full program or else her little babies will be taken from her. The tables have turned since the initial breakup of Kevin and Brit Brit. When they first divorced most people thought of Kevin as a pot-smoking layabout who was an absent father. In the wake of Britney’s crazy, however, Kevin has shown to be a stand-up guy. He has stayed away from the media, taken care of his kids and even cancelled a trip to Vegas to be in LA to help with Britney and the babies. Here is the latest poll on TMZ…very interesting. Who should get the kids? I’ve decided to post attractive pictures of Britney today. Lets hope that the paparazzi stay away from her rehab facility and let her get her life in order so she can perhaps one day have a normal life! On tomorrow’s docket? Brit Spears losing the kids? Maybe. “(AP) — As Britney Spears was reportedly checking out of a drug rehabilitation center for the second time in a week, her estranged husband was making plans to go to court amid a custody dispute over their two children. 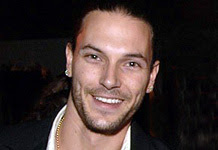 Kevin Federline and his lawyer were scheduled to appear at a downtown courthouse Thursday for an emergency hearing, Superior Court spokesman Allan Parachini told The Associated Press. Yes, anything is possible. Brit could parachute in from an Army helicopter. She could show up selling her extra needles. The kids may have already been sold to Madonna. There is no limit to the crazy train, just hop on board and pray the dining car opens soon. So what’s Brit up to, now that she’s ditched out on rehab for the second time in a week? Rumor has it she doesn’t have any money, because her family froze her credit cards (can they do that?). She called up one of her back-up dancers to spring her from Promises. She was spotted at the Chateau Marmont in WeHo earlier today, and just recently was seen at the law offices of defense attorney Barry Tarlows (down the street from Marmont). And, yes, she’s back to wearing that ridiculous blonde wig. The Federline camp has announced there will be no comment. We haven’t heard anything from Britney’s camp yet. What’s Going On With Her "Boo’s?" Awesome, give the public what they want. Way to elaborate Larry. Britney has sole custody of her babies so even if she goes into a treatment facility she designates the person who in in charge of taking care of her kids. Contrary to many reports, Kevin doesn’t want to have full-custody of the kids he just wants his visitation rights. Here is an interesting look at Britney’s support system via People. As a youngster, Spears had “a terrific relationship” with her mom, says former agent Nancy Carson. But a relative says: “Britney and Lynne have had some problems lately and they weren’t speaking for a while.” Now, though, they’re talking again. Spears’s little sister cried when she heard about the singer’s meltdown over the weekend, says a friend. The two are tight; Spears calls Jamie Lynn, 15, frequently. The two spoke by phone just before Valentine’s Day, and he canceled plans to go to Las Vegas last weekend “to physically be in L.A. if Britney or the kids needed him,” says a friend. Her longtime manager parted ways with her after she wed Federline, then returned and orchestrated her well-received behavior when she filed for divorce. He helped with the intervention that led to rehab. Hopefully one of these people will step up and save Britney. If she really has checked out of rehab I don’t know who can save her. According to OK! magazine, Britney had been in a huge fight with FedEx the day that she now-infamously shaved her hair off. Although I guessed the drug-testing threats were coming from her record label, I totally called this one. Brit’s at Promises Malibu, being mercilessly stalked by paparazzi, who have already scored pics of her in the courtyard. More pics here.